Sorry I haven’t been online for a while. My internet is down again. I’m using ISDN, so I don’t have a lot of pictures since I don’t have a lot of time. Anyhow, two new rooms have been released today. 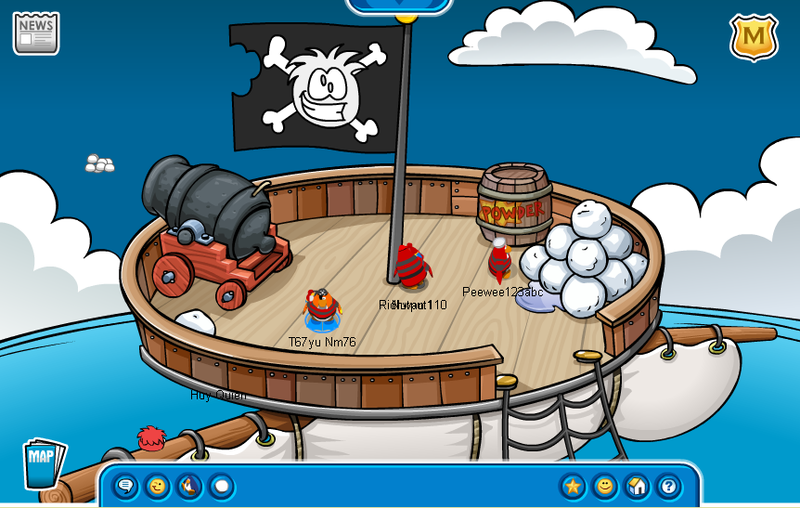 You are now able to access the Crow’s Nest, which is surprisingly large. 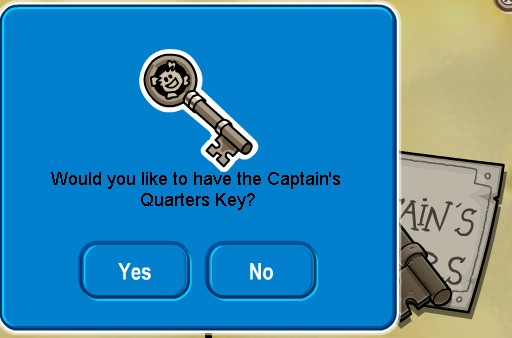 And, after one whole year, the Captain’s Quarters is finally open! There’s a new game in the Captain’s Quarters. It looks fun, but I haven’t played it yet because everyone was hogging it. 🙄 Sorry that the picture was fuzzy, but low resolution makes CP a lot faster. Just be happy I haven’t saved the images as ‘.jpg’s, these ‘.png’s are taking forever to upload. You’re also able to wear the key as a pin. It’s pretty cool. Also, I’ve heard that the music at the Lighthouse has changed to music from the Camping Party. I’m not going to investigate though, not with an internet connection speed of 64.0 Kbps. In other news: I’ve bought another memory stick. This one has 2GB. 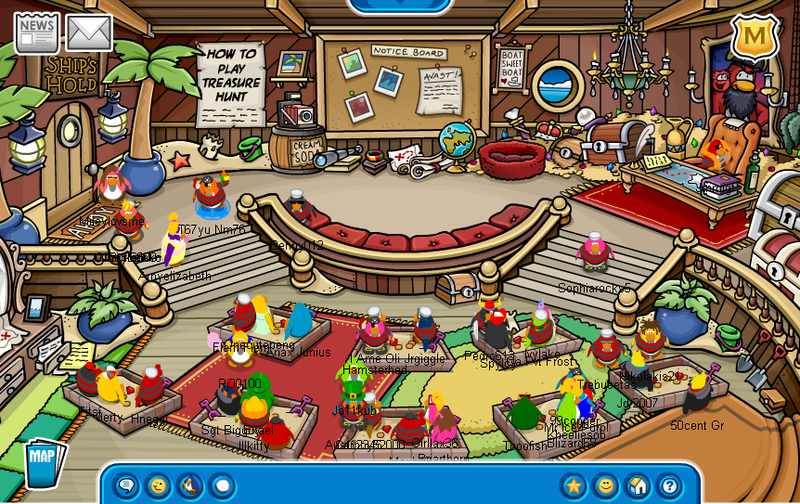 More than enough to get rid of all those Rockhopper pictures I took that are slowing up my cropper program.